This is a font I made back in November 2015. 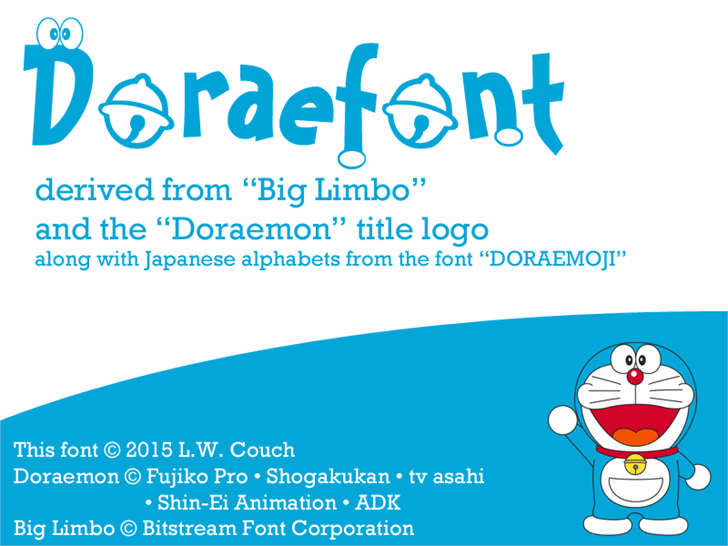 It reminds me of Doraemon so I'd thought I upload this font on Doraemon's birthday (September 3rd). Copyright 1990-2002 Bitstream Inc. All rights reserved.